One of the common issues plaguing Samsung Galaxy J7 J710F owners is the inability of the device to turn itself on from time to time. This issue can be due to a few factors and can manifest itself in a few different ways. Below are some of them. 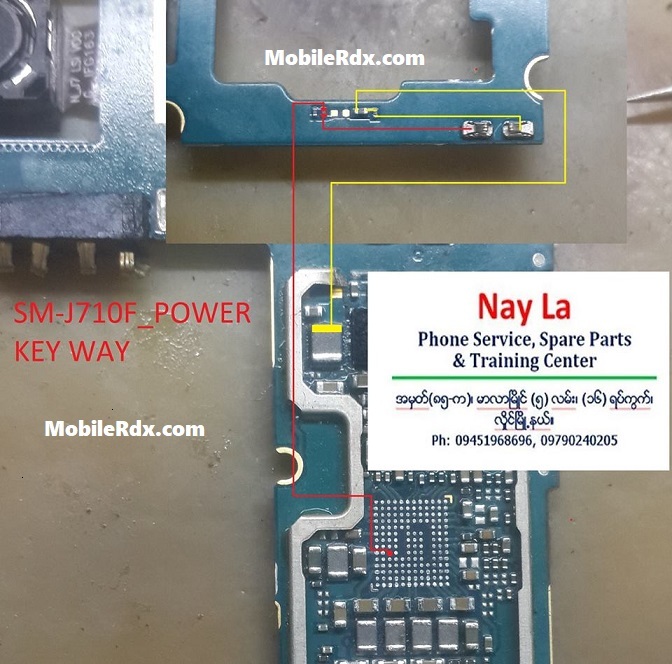 Here’s the jumper ways solution for Samsung Galaxy J7 J710F ON and OFF switch if the handset device showed charging indication when the battery charger is a plug-in but unable to power up when the power button is being pressed. For Samsung Galaxy J7 J710F power button problem there is no workaround method, however, you can try using a pin and move it all around the Samsung Galaxy J7 power button, as this might be able to take away some stiffness from your power button.